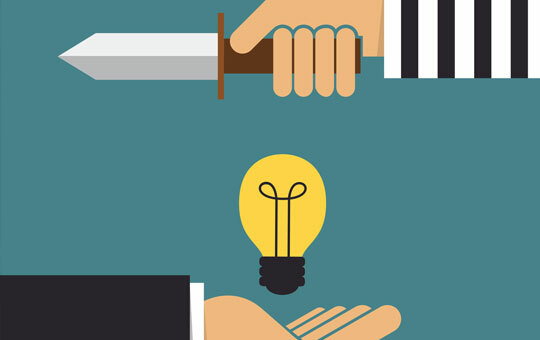 There is no one way to fight an IP battle. We know the IP field and how to implement the best strategies to achieve your commercial outcomes. If you are involved in a dispute regarding your IP, it is crucial to understand what is motivating the dispute and who you are up against so that we can work quickly towards achieving your desired outcome. Whether you are asserting your own claim or are at the receiving end, we have vast experience handling IP disputes against the full gambit of infringers, rights holders and Australian IP law firms and understand how they are likely to operate. This provides us an edge in terms of knowing how and when to push the right buttons to maximize impact and strengthen your position. Pre-litigation: If you believe your rights are being infringed, we can prepare an effective letter of demand and follow up strategy tailored to achieving your desired outcome, whether that be to simply prevent further infringement or to obtain financial or some other form of restitution to address the infringing conduct. Conversely, if you have received a letter of demand, we can prepare a response strategy aimed towards minimizing your exposure and reduce the likelihood of litigation. We do that by identifying points of weakness and counter-attack if appropriate to place you in the strongest defense position possible. We will always fully pursue a negotiated outcome which protects your interests and only recommend litigation if there is tangible value in doing so. Litigation: If litigation is unavoidable or necessary, we will select an appropriately qualified IP barrister to assist with running your matter, including assisting with settling of necessary court documents, appearances and general advice throughout the proceeding to assist in early resolution. Most of the back-end work, including drafting of court documents, formulating strategy and interim communications will typically be handled by us directly to minimize your legal costs. We are experienced in handling matters concerning all areas of trade mark, copyright, designs, Australian Consumer Law and passing off in the Federal Court and Federal Circuit Court of Australia. Trade Mark Oppositions: Trade mark applications can be opposed by third parties which can significantly protract the registration process. Often those oppositions may have little legal merit but be filed for purely strategic reasons to achieve some other commercial objective. We have a wealth of experience dealing with those matters and can formulate effective strategies to maximize your prospects of defending opposition proceedings as well as aggressive strategies to force an earlier resolution. Conversely, we can also assist with bringing opposition proceedings against other third parties to prevent registration of their marks where required. Our services include preparing any necessary notices within the required time frames, monitoring deadlines (which are strictly enforced), review and preparation of evidence, negotiations throughout the process to obtain early resolution, preparing written legal submissions on your behalf and attending the hearing if required. Domain Name Disputes: IP disputes regarding ownership or contested rights to domain names are conducted through the Uniform Dispute Resolution Procedure (uDRP or auDRP) which is an administrative hearing conducted through WIPO. We can assist with drafting and responding to domain name complaints to maximize your likelihood of success.